Kirti Mandir (or temple of fame) is located at the end of Vishwamitri Bridge, north to the statue of the last ruler of the princely state of Vadodara, Maharaja Fatehsingh Gaekwad. 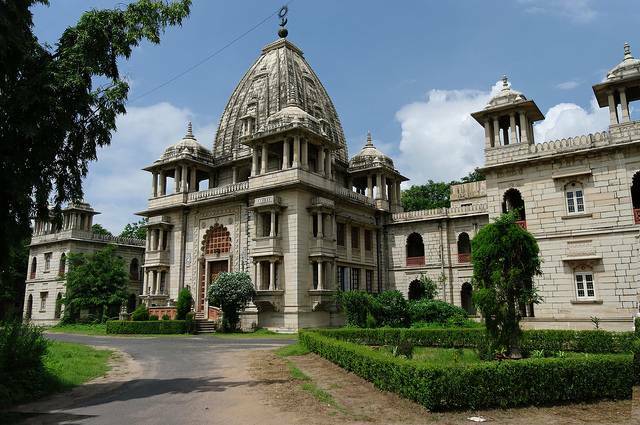 The mandir displays statues and photographs of all the Gaekward rulers who ruled Vadodara. It also has coins, weapons, outfits and other items of daily use that were used by these rulers. It is definitely a lesson in history of Vadodara for tourists and is highly recommended.